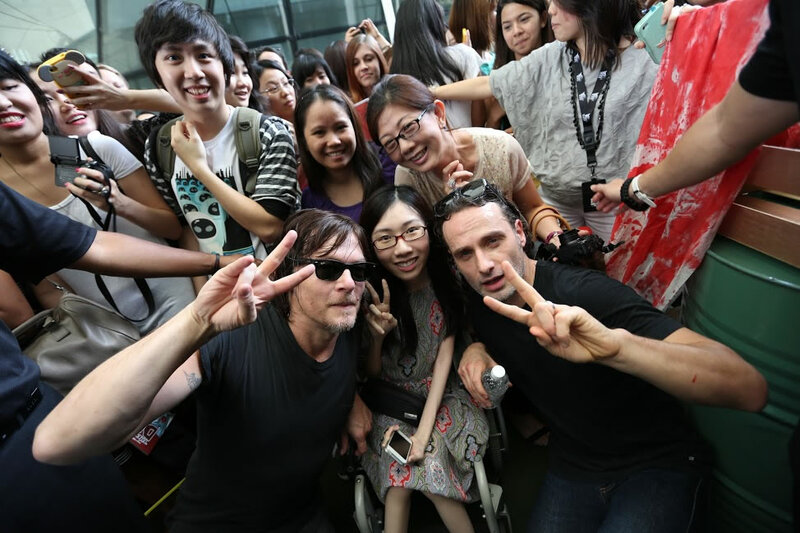 Zombie fans were in for a treat as stars of The Walking Dead, Andrew Lincoln and Norman Reedus, arrived at LASALLE College of the Arts to meet fans and members of the public, at The Walking Dead Live event presented by FOX Movies Premium, in partnership with StarHub. 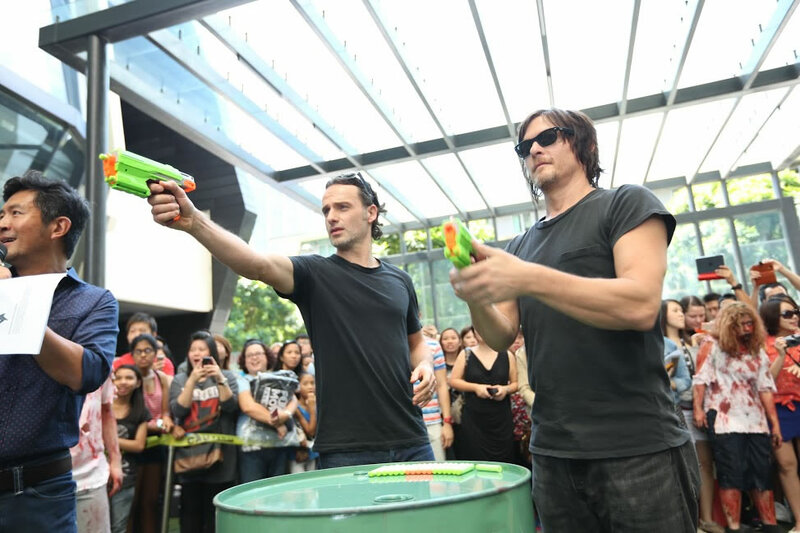 In a special setup which involves fending off zombie attacks and rescuing the human hostages, Andrew Lincoln and Norman Reedus showcased their anti-zombie skills in from of over 250 excite fans. It was a friendly competition between the two actors as they solved puzzles, showed off their skills in shooting and archery before hacking a zombie to pieces to free the hostages. The chivalrous guys gave them a “I’m so glad you’re safe”-kiss, much to the delight of their fans. Following the welcome event, about 500 invited guests attended a closed-door interactive session with Andrew and Norman. 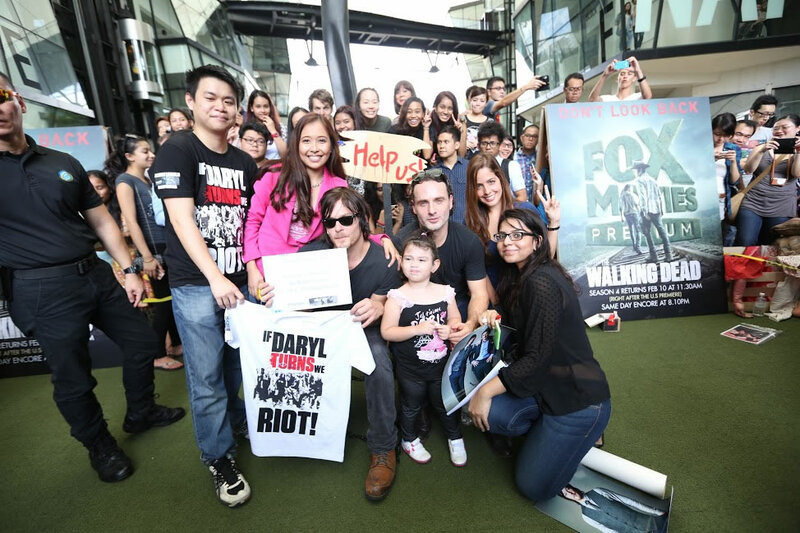 Local actor Adrian Pang chaired a question-and-answer segment where both actors shared freely on their experiences on the set of The Walking Dead. Among the topics discussed were how they dealt with lots of blood and gore; owning their characters over four seasons; and their own approaches to acting. 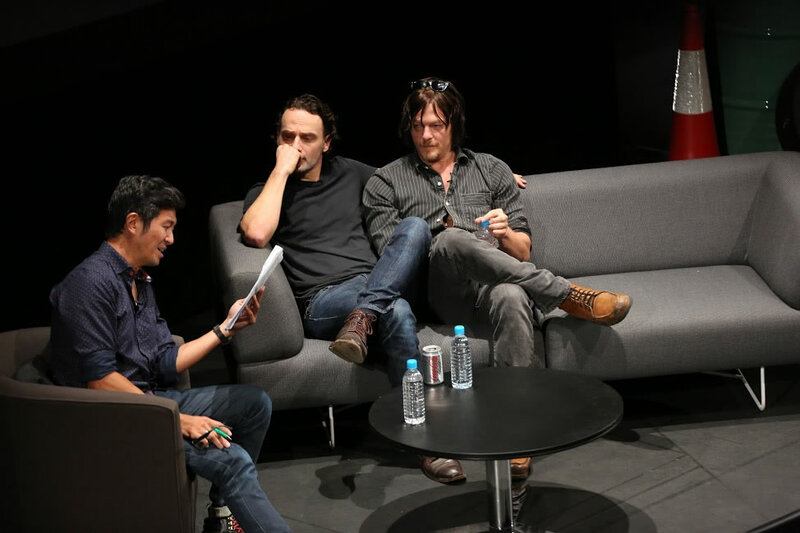 It was a very candid and spontaneous session where fans gleaned a lot of personal insights into the actors’ personalities outside of the show. 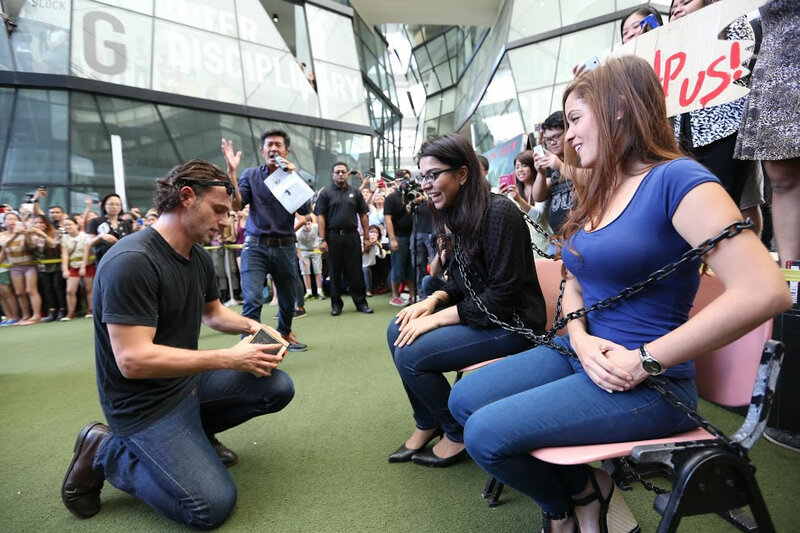 The event also saw students from LASALLE’s performing arts programme in the audience who took with them valuable tips from Andrew and Norman as they shared their own beginnings as actors. While fielding additional questions from the audience, they also emphasized the value of learning in acting career journeys.